As lifespans increase and medical technology advances, age diversity in the workplace is a more common feature of the average working environment. 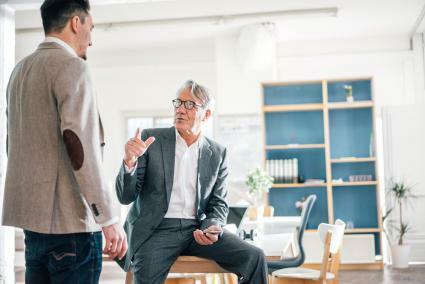 While incidences of age discrimination are still found, despite laws against it, many employers are beginning to see the advantages of mixed-age workforces. Employees also benefit on a personal and social level from the multi-generational interaction in today's workplace. In today's more global economy, employers stand to gain a great deal by encouraging age diversity in the workplace. Each of the generations brings attributes and attitudes that have value to the workplace and each has a role to play in the overall, enduring success of a business. Competitiveness in the global market is only enhanced by maintaining a workforce with diverse skills and strengths, with people capable of working in traditional forms and those able to see beyond those forms into the modern market and technological paradigms. Older workers can teach existing skills to new workers while younger workers can teach new technology to older workers. 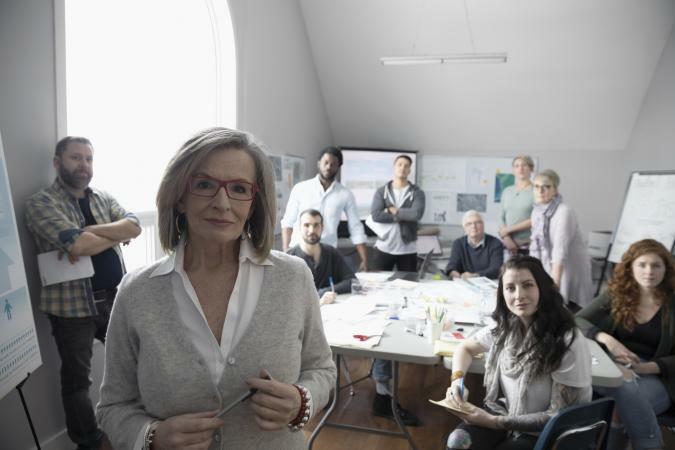 Employees benefit from age diversity in the workplace, not just in the potential to enhance production from learning skills from the various generations of coworkers and supervisors, but also on a personal, social level. We all benefit from lifelong learning, from being exposed to new ideas and thinking. Interacting regularly with the different generations in the workforce can add freshness and a deeper enjoyment and understanding of the different generations encountered in personal lives and daily living. The four generations often display different attitudes and approaches to the circumstances and challenges of the workplace. Those growing up during the years of World War II typically have an overall outlook that differs significantly from those growing up during the times of relative prosperity enjoyed by those coming to age during, say, the 1960s or the 1980s. Researchers have found that those tending to fall into the Matures tend to display attitudes that reflect the work values that were common during their formative years and those that were essential to being successful during those difficult years of economic difficulty and world war. Among these are sacrifice, duty, delayed gratification, loyalty, hard work, respect for authority, and conformity. Baby Boomers, while sharing a certain degree of their parents' value of hard work, didn't adapt to the Matures' focus on the good of the whole and delayed gratification of the individual. The Boomers leaned more towards instant gratification and the fulfillment of the self and its desires. However, the lessons of their era taught them the value of communication and team efforts, of personal development and an optimistic view. Generation X were often left on their own, either literally or emotionally, by parents following their paths to self-fulfillment in their careers and lives. They tend to be a self-reliant set, skilled at working independently and comfortable with moderns concepts, such as racial, gender, and sexual diversity, and modern technologies. Members of Generation Y are now entering the workforce, raised by parents that have often been much more child-centered than perhaps their own Baby Boomer parents were. These workers tend to have confidence in themselves, demonstrate a high degree of comfort with diversity and technology, and share their Mature predecessor's concepts of civic duty and social responsibility, albeit with a modern, global twist. Another Millennial feature is making use of the latest and greatest in modern technologies and a decreased division between work time and home time. The world is changing rapidly, and this forces the modern workplace to modify practices as well. Today's older generation is more active and fit than ever before, living longer and healthier lives and continuing to work well into what was once standard retirement time. Economic changes have contributed to this lengthening of the working years as well. Age diversity in the workplace is something that we can expect to see, and hopefully, benefit from for years to come.